National Institute of Industrial Property of Chile (INAPI) is going to provide its services as an International Search and Examination Authority (ISA/IPEA) both in Spanish and English languages as of January 1, 2018. In a few days, the applicants seeking patent protection via PCT route will be able to receive international search report and preliminary examination reports issued by INAPI in English. Apart from Chilean applicants, it will affect positively applicants belonging to the countries of Latin America and the Caribbean, namely Colombia, Costa Rica, Cuba, Ecuador, El Salvador, Guatemala, Mexico, Panama, Peru, Dominican Republic, if they have designated INAPI as ISA or IPEA. This great step of the PCT Department of INAPI reflects the significance of the innovations in the region and strengthens Chilean engagement in patent protection under Patent Cooperation Treaty. Besides, it is worth noting that INAPI updated examination guidelines in October 2017. The main changes affect divisional patent applications which can be filed only before the final resolution regarding the original application, i.e., if an applicant receives Notice of Allowance/Refusal. Also, the guidelines clarify claiming priority for divisional applications, as well as determine validity, payment of fees and extension of patent lifetime. For example, in case the original patent obtains an extension of validity under the rules on Supplementary Protection, such extension will not apply to the divisional patents. 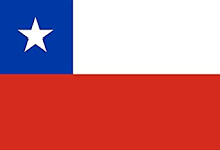 For more information on Chilean national phase entry or other jurisdictions, please visit our applicant’s guide. We also welcome you to get a free quote for patent filing via quotation system.